A listing of contact information (i.e., addresses, phone numbers, fax numbers, etc.) for Suffolk County school districts and their administrators. Order any or all of our directories by completing and submitting our Publication Order Form for 2018-2019 attached here. A listing of contact information (i.e., addresses, phone numbers, fax numbers, etc.) for NY capital district school districts and their administrators. 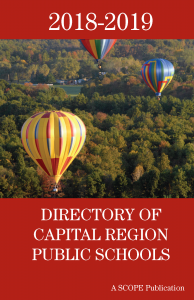 Counties included in the directory include the following: Albany, Saratoga, Rensselaer, and Schenectady. 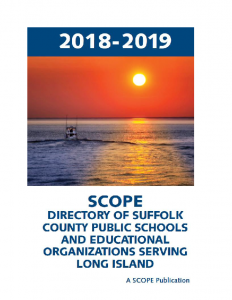 An annual directory of private and parochial schools in Suffolk and Nassau Counties listed by town. It includes school boards, administrators, accreditation, religious affiliation, and grades served. 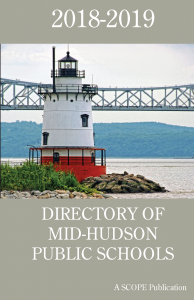 An annual directory of public schools in the Mid-Hudson region of New York covering Duchess, Orange, Putnam, Rockland, Sullivan, Ulster and Westchester Counties. A listing of contact information (i.e., addresses, phone numbers, fax numbers, etc.) for Nassau County school districts and their administrators. 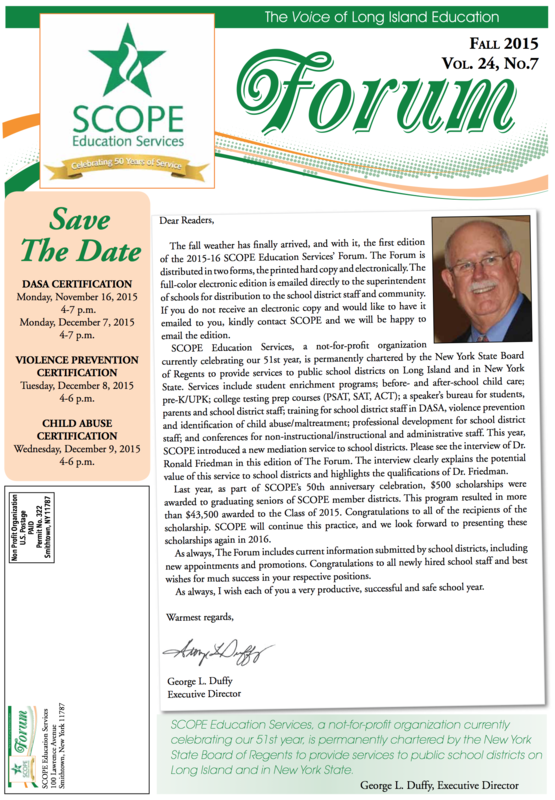 Published by SCOPE four times per year, Education Forum highlights school district happenings and the offerings provided through SCOPE Education Services. Education Forum also provides timely information of interest to the Long Island education community. 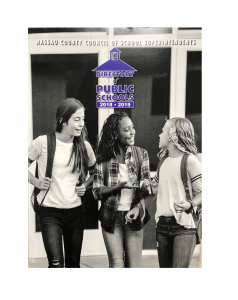 Each issue is available online through the SCOPE website and forwarded online to district school superintendents to include in their communications. Hard copies of each issue are available to school districts and other subscribers upon request. For more information, take a look at this brochure. The Journal for Leadership and Instruction (JLI) is an international, peer-reviewed research journal for education professionals that is published twice a year and adheres to a strict code of ethics (see the JLI Code of Ethics). 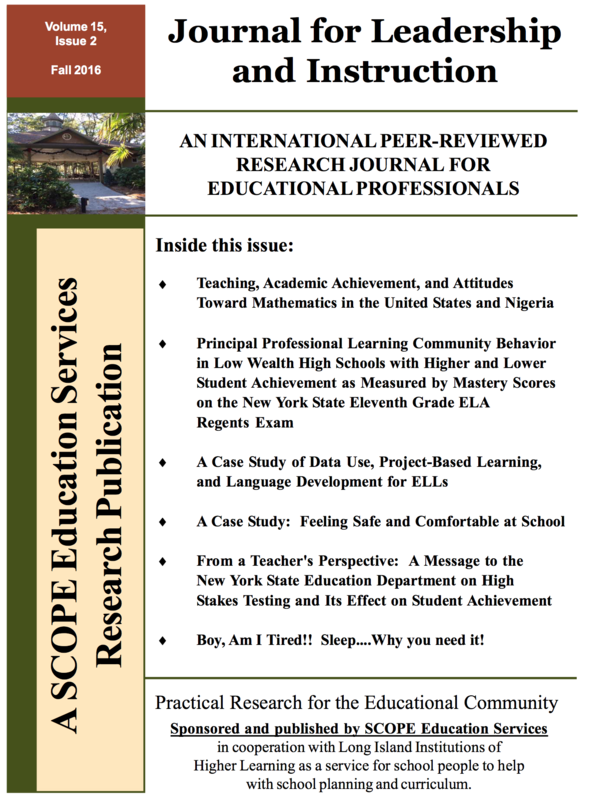 The purpose of the journal is to serve as a resource for education professionals to aid with school curriculum and planning. 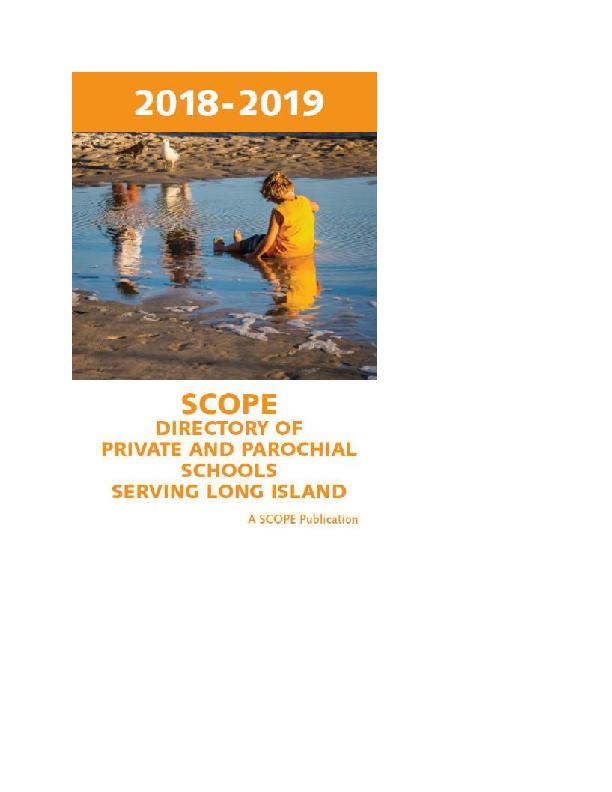 JLI is published and sponsored by SCOPE Education Services in cooperation with Long Island institutions of higher learning and is available online (below) and in hard copy. You can subscribe to JIL by completing and submitting the JLI Subscription Order Form. The Journal for Leadership and Instruction has replaced the Long Island Education Review. 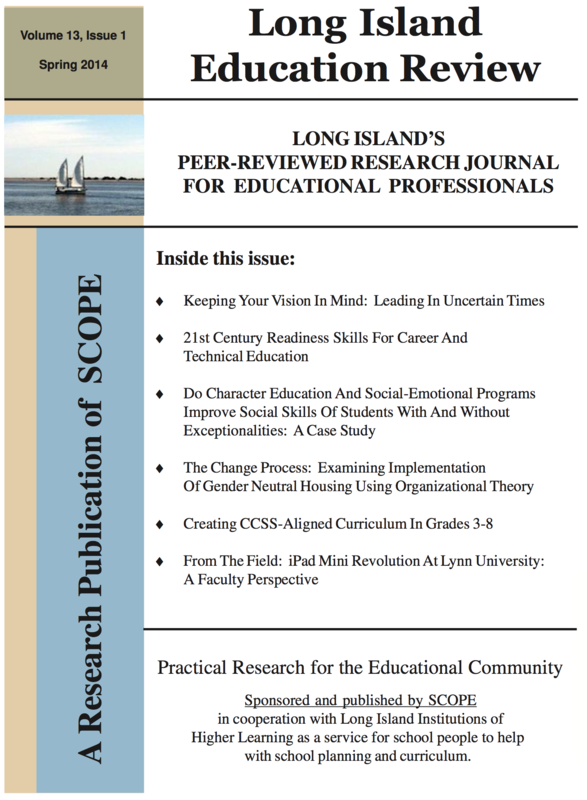 To view past issues of the Long Island Education Review, see below.